In the history of mankind, great men, men of genius, men of great intelligence, men of great ability and great talent have often been attacked by lesser souls, by the incompetent, by the jealous, by the stupid, by the craven and the greedy who take more satisfaction in the destruction of their superiors than in their own success. When Dr. John David Kuntz (shown in photo on left) moved to British Columbia to take up the practice of medicine, after University of Toronto, the local College of Physicians and Surgeons recommended that he set up shop in his speciality, orthopaedic surgery, in Kitimat, a remote small community, population 8,000, in north western British Columbia. The Vancouver market was already crowded with specialists who did not want more competition and, for Dr.Kuntz, who grew up in the remote northwestern Ontario community of Red Lake, the prospect of spending his working life, near or in "the bush", as Canadians call their wilderness, was not at all unattractive. Soon after he arrived in Kitimat, Dr. Kuntz came face to face with the grim reality of the industrial resource extraction economy of rural British Columbia in the form of crippled and injured young and middle aged men who had suffered spinal injuries while working. Being a man of genius and talent, Dr. Kuntz quickly realized that what was keeping these otherwise healthy men from returning to an active life was the fact that the disks between the vertebrae in their backs had ruptured or collapsed and, at the time, there was nothing that surgery could do for them except a spinal fusion that left them relatively crippled. Dr. Kuntz put his mind to the problem and, using his native genius and god-given talents invented "spinal disk replacement surgery" at his clinic in Kitimat. Soon afterwards, Dr. Kuntz was the leading orthopaedic surgeon in British Columbia, doing approximately 50 % of all of the spinal surgery in British Columbia from his medical practice in Kitimat. The success of Dr. Kuntz caused problems for two entrenched groups. 1. 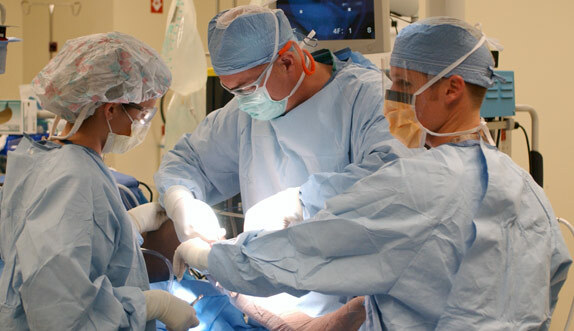 The other orthopaedic surgeons in British Columbia, especially in Vancouver, who saw their income levels dropping and patient base dwindling because of the genius in Kitimat. 2. The Workers Compensation system in British Columbia that was facing angry demands for a return of assessments from industrial employers whose workers had returned to work. The Workers Compensation system in British Columbia had become an insurance racket where employers of injured workers were fined with heavy up front assessments that were parsimoniously paid to injured workers as paltry monthly benefits. The incoming lump funds generated a huge cash reserve that supported a well paid, nepotistic, bureaucracy while injured workers and their families struggled to survive on minimum monthly support cheques. Literally, Dr. Kuntz made the lame walk. He was a modern miracle worker, like Jesus, and, like Jesus, Dr. Kuntz was crucified by the lawyers and the judges - the Sanhedrin - not because he healed on the Sabbath but because he healed where others could not. The adversaries of Dr. Kuntz consulted their lawyers, in Vancouver, and hatched a devious and diabolical plan to destroy Dr. Kuntz by using the College of Physicians and Surgeons to stop his work on the grounds it was "experimental medicine" and by launching a "fraudulent" class action lawsuit against him on behalf of 1,900 patients he had allegedly injured by his experimental surgery. The same group of lawyers also launched a similar fraudulent class action lawsuit against the College of Physicians and Surgeons of British Columbia, the professional organization that governs the practice of medicine in British Columba. This was a terrorist tactic intended to frighten the College into complete submission. The medical profession, frightened by the prospect of insurance claims in the hundreds of millions of dollars, payable to some fictictious 1,900 patients, moved quickly to strip Dr. Kuntz of his licence to practice medicine notwithstanding the fact that Dr. Kuntz never treated 1,900 patients and that all, excepting a very few, patients, were living, very contentedly, with the surgery he had performed and many of his former patients signed a petition in support of Dr. Kuntz to help him keep his licence. There were two such petitions one with 5,000 signatures and another with 8,000 signatures. When the insiders with the Vancouver legal establishment realized the success of their bold and diabolical plan against Dr. Kuntz they then turned their sights on an ever greater fraud against the public treasury by persuading a local politicial party, to promise, as part of their electoral platform, that their government would pay the medical insurance fees of the doctors and, with this bold statement, the party won the support of the medical profession in British Columbia that was now saved from the prospect of huge medical insurance fees to cover the fraudulent claims against Dr. Kuntz and the support of a number of Canada's leading law firms that made up the Canadian Medical Protective Association, CMPA, and who were set to benefit from the fraud based premiums to by collected from the unsuspecting taxpayers. At this point, we have to explain to the reader that, in Canada, medical doctors do not pay insurance premiums for malpractice to a properly organized insurance company. Instead, they make regular payments to the CMPA, that describes itself as a "not-for-profit, mutual defence organization for physicians, by physicians" and is, essentially, an association made up of several large Canadian law firms that decide which claims to pay and which ones to resist. The lawyers went laughing all the way to the bank, Dr. Kuntz was destroyed and reduced to poverty. Every lawyer Dr. Kuntz hired to resist the fraud against him was disbarred, a series of crooked judges were inserted into every application he made to court to try to get a fair hearing. Because he was a member of the College, Dr. Kuntz was not permitted to defend the class action lawsuit which was handled on his behalf by the lawyers who were part of the conspiracy. Eventually, the fraudulent class action lawsuit against Dr. Kuntz and the College were quietly dropped because there never were 1,900 injured patients and because the lawsuits very massive frauds intended to enrich a few greedy lawyers in a couple of prominent law firms in Vancouver. How could this happen, you ask, in a democracy, like Canada, that boasts a competent, honest, justice system? 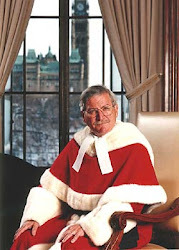 Simple, the judges and lawyers in Canada are appointed by politicians and knowing that there is no independent process to investigate and discipline judicial corruption the lawyers correctly reckoned they could get away with their dirty conspiracy to deny Dr. Kuntz the basic right to cross examine and challenge his accusers and thereby loot many millions of dollars from the public. And, why did they do this, you ask? Simple, because the lawyers and judges were all connected, in a multitude of ways, to the big law firms that benefited from the huge revenues that were now pouring into the CMPA as a result of the fraudulent lawsuits they initiated. 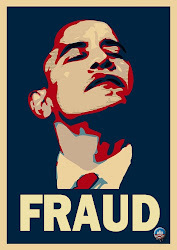 And, how do we know the lawsuits were fraudulent? Simple, because both lawsuits were dismissed by a Consent Order agreed to by the lawyers and the 1900 so-called victims of experimental surgery disappeared and never complained again. Do you get it? There never were 1900 injured patients. The claim was a fraud. Sure, maybe one or two patients had complications form surgery. That is to be expected. But, the 1900 figure was a lie. It was a great lie, deliberately inflated, massively inflated, to justify a greater robbery and bamboozle the public ands it worked. When the money was paid out, the patients disappeared. They went away. They never squawked, they never complained, they never made a peep because THEY DID NOT EXIST. my specific complaints all ignored. all denied with their WCB legislation. because I was sent back to work after the fall. multiple fractures open for debate. with the consequences of my work injury. the reason for pain, and disability. send all these WCB liars for Justice in HELL. "WCB Employees Paid to Commit Fraud"
"Denied Medical / Rehabilitation Benefits by WCB"
has been twisted like a pretzel to deny injured workers benefits of medical care / lost wages, after suffering workplace injury. In the summary documents, prepared by Board services, and used in Board Members Judicial Appeal Hearing, I found falsified medical reports / complete lies. How can you receive a fair hearing when WCB employees place falsified and fabricated lies, to deliberately con-volute / misconstrue, your claim? How is it possible, all 3 of my MRI scans were not properly evaluated? Designed to contain costs, at the expense, of the injured worker / family.
" While we do not disagree with the diagnosis, we do not see how this could be so". In other words the evidence was totally disregarded. 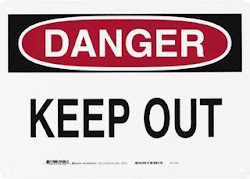 SASKATCHEWAN WCB IS A PSYCHOPATHIC CORPORATE ENTITY THAT HIRES PSYCHOPATHIC PERVERTS TO DELIBERATELY DENY ANY INJURED WORKER MEDICAL DIAGNOSIS - ''NO DIAGNOSIS = NO CLAIM = NO COSTS '' WCB EMPLOYEES EEN VIOLATE THE ''CANADIAN CRIMINAL CODE'' WITHOUT FEAR AS GOVERNMENT WON'T INVESTIGATE. Modern medical technology in Kanada... Cross cut saw, tourniquet, stock piece of leather and a bottle of overproof rum. I wish you all the best and hope you find relief. I couldn't. Here's the simple explanation. The medical industrial complex global. This was about the money. People other than Kuntz have been destroyed. Disc Dynamics was recently put out of business I suspect by the US FDA. Other spinal devices that are actually manufactured in the US are only available in Europe, Asia and South America. Those would be Spinal Kenetics M6 ADR and NuVasive's Neo Disk. This is more than a corrupt judicial system in Canada and the US. This is about money. Back pain is big business and Kuntz is not the only one who has offered what pretty much are cures that have been squashed. The medical industry in the US is the 7th largest economy in the world. Money rules. Kuntz is just one of many. The wrong doing of the medical industry is global. Please start another blog and report on it like I am doing. IMO the US health care industry is the most corrupt but the multi-national nature of the global corporations know no bounds. fantastic good work for the mankind when absolutely new findings have given him right. My father is one of the "ficticious" people that this man operated on 5 different times. My father is out of his mind in pain as the discs that this so called doctor used were harder than the bone and has resulted in bone spurs in his neck. He has had 3 of the 5 discs removed but no doctor will touch the other 2. Just last week, my father had a scan and the radiologists insisted that he see his family doctor immediately as this was an emergency. The family doctor indicated that the radiologist had probably never seen a neck as bad as his. So . . . get your story straight I hope some day that Dr. Kuntz will admit that he seriously harmed the people that he operated on. Why help people who are hurt when the insurance hacks like the lawyers can keep on milking an open claim or claims? Here in the U.S. the same thing happens. It's all about corporate & insurance profit. Injuring people or sick people is a billions of dollars business. As I stated while running for Congress in CA, that the sicker you are the more money insurance & HMO's make. We are nothing more than ATM's with claim numbers. Being 7th in the worlds's economy proves it. 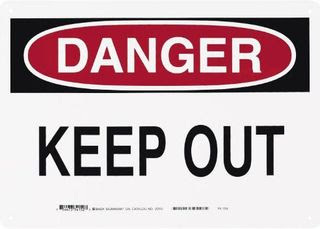 Our legislators need to be in a dungeon for all the harm they've allowed to happen to their constituents. That's being kind. Scary and depressing.I mean it. I am scared of some institutions. Scared to say so. WCB was Legislated by the Government- yet they claim it to be a "Separate Entity". WCB is a System that Benefits the Government, Employers, and lawyers. Not the Pernamently Injured and Disabled Worker. What was once the Meredith Principals, are now nothing but a Chapter of "Animal Farm"
Propaganda is Just a Politician Away, and Democracy in Canada Exists/ Only if You're Deaf Dumb and Blind. 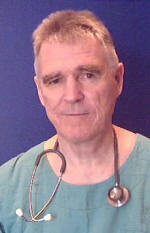 Special and Sincere Thanks to Dr. David Kuntz- for his Morals and Values- which are Lacking by Politicians and Lawyers.